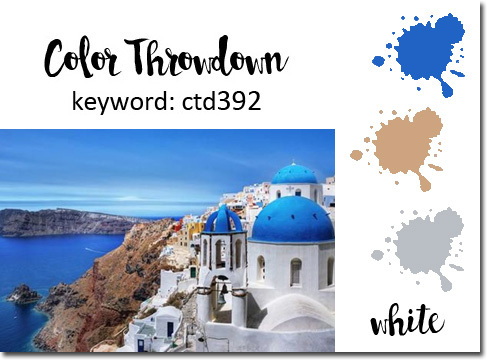 Color Throwdown (ctd392) - use Cobalt, Kraft, Light Grey, White. I used Dove Grey base and panel, Kraft square frame die cut, Cobalt blue flowers, White flourish. Note - this card caught Barbara's eye - "stunning CAS card." CAS(E) this Sketch! - I went with a liberal interpretation of the sketch. Note - received Honorable Mention. 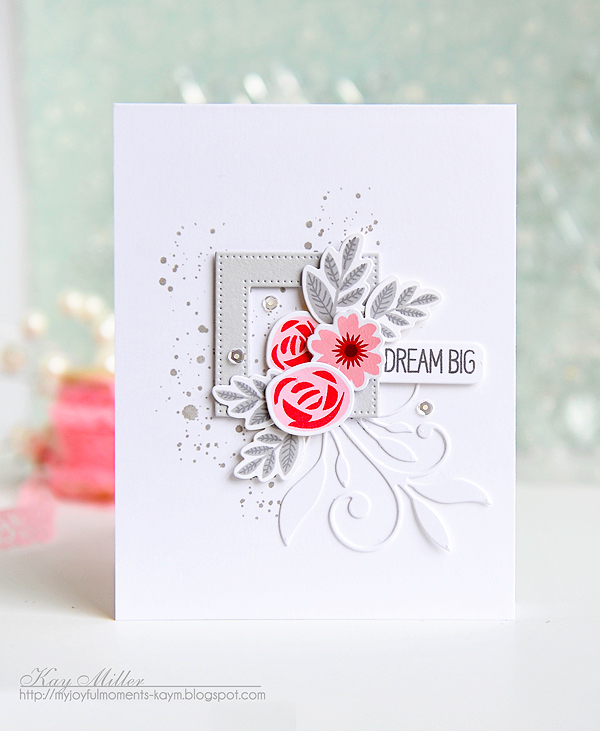 TIME OUT - Our inspiration is from the very talented Kay Miller whose cards I always admire. The layout is similar with a different color palette. I lightly embossed the Kraft frame to resemble wood planks (may be difficult to see in photo). Thank you for visiting and commenting ... your comments are always appreciated. Your card looks amazing Marilyn! Marvelous combination of challenges! Thanks for playing at CTS! What a great way to combine all those challenges! The frame sets off the floral cluster perfectly! Thanks for playing along with us at CAS(E) This Sketch! 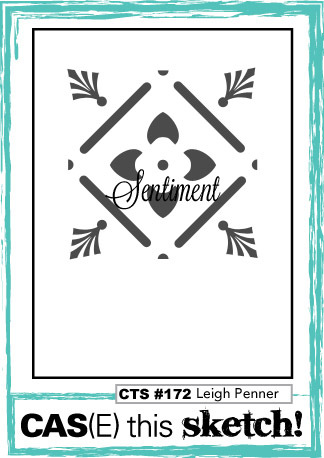 LOVE your card with the wee frame and floral collage! Thanks so much for joining us at Color Throwdown! Fun use of the colors, casing Kay, and the sketch! Love those blue flowers, white swirl and Kraft frame!! So glad you joined us at CTD!! Your card is lovely, and I saw that it was one of those highlighted at the Throwdown~congratulations! Marlena, thank you for your thoughtful comments ... really appreciate you taking the time to view the highlighted cards. Hugs! Wonderful take on the sketch, and CASEing Kay's card, too!